Monica. Bring in your old kicks with the purchase of a new pair and get 20% off. 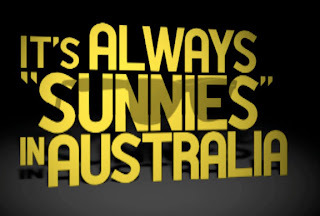 Joey Pepper & buddies put out not the best video of all time, but surely a video nonetheless. Get your Monday going with Lindsey Lohan. Lindsay Lohan from 48BLOCKS.COM on Vimeo. Cruise over to The Berrics site for this weeks latest battle between Kenny Anderson and Jerry Hsu. Talk about a match up that could go either way! And make sure to watch Cairo Foster and Josiah Gatlyn match up as well. Comment and tell me who you think could go to the next round? This was taken, word for word, from the DLXSF website because the post sums it up perfectly. Mikey Taylor and Sean Malto have come together with Thunder and Etnies to raise funds for the Johnny Kicks Cancer foundation. Available now is a very special Thunder color way truck that coincides with the release of the Malto/Mikey designed Etnies RVL/Thunder color release . A portion of the proceeds from the truck and the shoe will go directly to The Johnny Kicks Cancer Organization. To celebrate the arrival of the Johnny Romano Trucks, Thunder is giving away two pairs of trucks everyday this week. For details, head over to the DLXSF site. Neff teams up with the most legitimate AM skateboard tour in the country and will crown the overall winner of the tour with an official Neff amateur sponsorship. The Finals will take place at X-Games in LA July 30th and 31st. The Hometown Hero tour consists of top level amateur skateboarders who pile in a van and hit the road for months at a time, infiltrating local skate scenes across the country, filming, street-skating, holding contests, and building a living network of skaters across the country. For the top AMs at each stop along the way, some get in the van and go along for the ride, and all are invited to compete at the Hometown Heroes Finals at X Games. 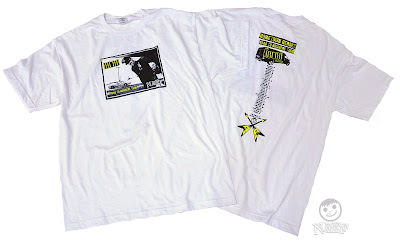 Neff also designed the official Hometown Heroes t-shirt that is given away at each skate stop. Who will be this years Hometown Hero and become the next Neff Am Star? Check out weekly coverage of the tour and all stops at Neff’s website. John Rattray’s film, DIV is live and online and available for your viewing pleasure. Make sure to checkout Part 1 & 2 over at the Black Box site. Div Adam is without a doubt making Scotland proud. 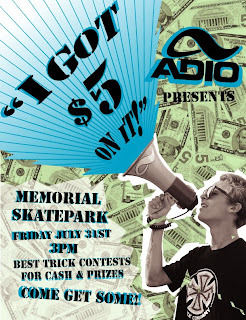 Don’t miss “I got 5 on it” - Best trick contest for the kids held by the Adio team for cash and prizes. Blind has released its 3rd Blind Brotherhood deck! This one being for Scott Kane! The Blind Brotherhood Program is something exclusive to Blind and it’s our way of supporting fellow skateboarders. Basically we’ll choose one fellow industry skateboarder each season and produce a deck in his name on behalf of the Blind Brotherhood program and when the deck is purchased a portion of the proceeds will go to help benefit that rider. Our first Blind Brotherhood deck went to Bryan Farabegoli, who was diagnosed with a tumor, the 2nd to Kenny Hughes and our 3rd is going to Scott! Below is the info and a link to download the deck artwork for media reviews in web and print as well as a video link at the bottom! Congratulations to Skateboarder Magazine’s Senior Photographer Jonathan Mehring on his win at the Rotterdam Photo Contest! Check out his photography here. Local residents and visitors alike were treated to a great pool party at Malmö Stapelbäddsparken this afternoon. The live webcast was a bit “hit and miss” due to technological hiccups, but the action on the scene and in the bowl kept those seated in the bleachers roaring for more. Here’s a few flicks of the action. A trio of amateur skaters claimed the top podium spots at the first-ever CONS Coastal Carnage this afternoon. The pro/am invitational event brought together a pack of relatively unknown and top ams and top pros for a fun-filled and explosive series of bowl jams on the sands of Huntington Beach, CA. Check in with The Skateboard Mag for a recap of the beachside behavior with photos, video and more in the coming hours and days. Ryan Sheckler was crowned World Champion this evening out in Boston as he accumulated the most points from his dazzling array of skate stunts throughout the six-man final of the Skate Open ISF World Skateboarding Championships, the first skateboarding stop of 2009’s Dew Tour. Man on the scene, Beau Lambert has the run down on what went down for the men’s final right here beneath the spotlights, the glitz and the glory. A report for the women has not been posted at this time. Bucky Lasek wrapped up the remaining competitive leg of the Skate Open ISF World Skateboarding Championships this evening with a big win as World Champion on the vert ramp. Back to Beau for a recap of the action. A personalized car, shoes, glasses and now his own line of wallets and belts. Greg Lutzka has signed to Oz’s Armourdillo brand for a forthcoming line of signature accessories. Greg with be joining Corey Duffel and vert veteran Kevin Staab on the team. Black Label is proud to welcome Ben Skrzypek (pronounced Sha-pek) and Ethan Fitzpatrick to their team. Ben is from Maine and Ethan is a Washington native, but both have been destroying spots all over So Cal. You can see both Ben and Ethan in the new video “God Save the Label” available now. A month or so ago we posted a link to Stardoll.com and highlighted the fact that Ryan Sheckler was available to ‘virtually’ dress up. Well, Mr. Sheckler (aka ‘Double Pits To Chesty’) has been removed from the site and, according to this article, Tony Hawk and Bam Margera have been added. It’s interesting to note that Hawk is listed in the ‘Athlete’ category while Bam can be found in ‘Celebs’. Nothing else needs to be said. Will these two raise hell like Sheckler and Co. did over their Stardoll inclusion? Will angry emails be sent? Reputations threatened? We doubt it. Many top-level professionals will be heading out to Bean Town this week for the first ever “skate-only” stop on the Dew Tour. This second stop of the Dew Tour’s 2009 season, is also designated as the International Skateboarding Federation (ISF) Skateboarding World Championships. will be held in Boston, July 24-25 at the TD Garden. In the mix to shake up the regular lineup of Dew Tour street competitors are heavies Chris Cole, Eric Koston, Dennis Busenitz, Nick Dompierre, Jake Duncombe, Tommy Sandoval Billy Marks, and Peter Ramondetta. It looks like it will be a good, hard fought battle. Not to be missed, skateboarding insider and journalist Rob Brink recently caught up with Chris Cole for his thoughts on competitive skating at this level and being the last of a core generation of skaters. A very worthy and solid read. The Expedition team just put up a lengthy online video of their travels in China. Have a look at 12 minutes of B roll footage and get ready for the prime cuts to drop in their upcoming video sometime in the next several months. Here is a closeup of the Zoo York Bricks and on of the hardest obstacles on the course which is the Valencia ledge. 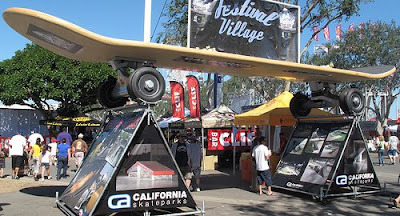 The World's Largest Skateboard was posted up outside the event. You might see Rob Dyrdek rolling down the boardwalk on this one. Overview of the Mini Mega Ramp to the left and the Vert ramp on the right. P Rod Nails a Kickflip Frontside Nose Slide on the Uci Rail. Chaz Ortiz does a smooth frontside smith grind combo on the handicapped rail. The 2009 Maloof Money Cup course was has some very interesting elements in it and it also ushered in another first in skateboarding which is the first competition on Danny Way's Mini Megaramp. The Mini Mega has a rollin which is about 30 feet tall and that throws you into a rail which ultimatly leads you in into the vert ramp. A lot of the runs on the vert ramp started off with the Mini Mega Ramp roll in. In no particular order here are some of the obstacles that are on the street course this year. All the items named below are replicated after famous skate spots such as the Uci rail and ledges, the Valanica ledge from Barcelona, the 3 up 3 down spot and the Pier 7 manual pad both from San Francisco, The Rincon Rail which was the first obstacle that was built in the course and it is also the Tech Dech sponsored rail and finally in the corner you have the Zoo York Brick Banks which are taken from the Brooklyn Banks in New York. Hey guys you should check this blog out and follow it. Its about all kinds of stuff. And this really long story. You should really check this site. Today i thought i woulnt get to 50 and right now i have 72 Follower . So please help me get to 100. 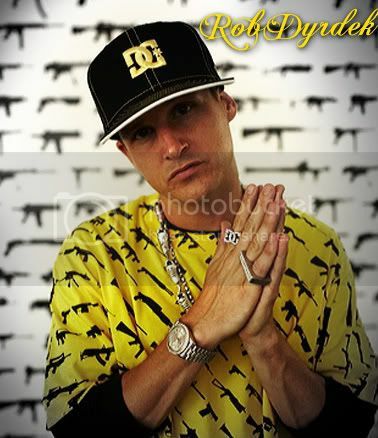 If you post my site in your blog ill do the same. Cruise over to The Berrics site and checkout the latest battle between Paul Rodriguez and Kelly Hart. A first round match up against P-Rod’s skill level is never ideal, but who knows - maybe Kelly can come through with an upset? You guys should check this blog out and you should follow it. Its about the latest clothing and phones. The clothes in this blog is dope. Also Follow my blog if you already have and ill return the favor. Cruise over to The Berrics site and checkout their latest battle between Paul Rodriguez and Kelly Hart. A first round match up against P-Rod is never ideal but who knows- maybe Kelly can come through with an upset? The dust had barely settled in New York City after 5 Boro celebrated their 13th anniversary when owner Steve Rodriguez was back to the business of skateboarding. In the latest issue of For The Krew magazine, Steve talks about skating on the East Coast and 5 Boro’s Florida flow team. Push on down to your local skateshop and check it out. Coming off of a worldwide book tour, DC Shoes has just launched an impressive mini site for Michael Blabac’s newly released book, “Blabac Photo: The Art of Skateboarding Photography.” Dig into the site and absorb his vivid portfolios, related video content and pick up a copy of the book…a must have for any skateboarder new school, old school or no school. It’s time to get schooled! The Boston edition of Manny Mania is a wrap. Part time filmer, part time DJ, R.B. Umali is in the cutting room working on the video as you are reading this. Look for it shortly at the Red Bull website. Seattle’s Ballard Commons bowl played host to Toad and Salmon’s Chowder bowl on Saturday and despite the small turnout of skate competitors, the afternoon delivered a great day sunshine and skateboarding. The young bucks in the skate jams killed it and as did the ladies behind the savory chowder recipes. Look for more photos, video clips from Schmitty at Thrasher Mag and the Trife and of course from Magnetnead’s Lowcard report. This weekend’s 2009 Rotterdam Grand Prix is a wrap where Rotterdam’s very own Tim Zom took home $10K for first place and capped off the international event with along with Best Trick winnings as well. Sandy, OR—Windells Camp is pleased to announce the newest addition to its campus: three fully interactive live streaming webcams. Now, viewers from anywhere on Earth can check out the fun that campers have every day at Windells. Want to see all the new features in Windells Concrete Jungle? How about a game of knockout in front of the Super Awesome Information Game Lounge? Maybe you’d like to check out the visiting pros playing sponsor night games? All of this and much more is now accessible with just the click of a mouse. Over the last twenty-two years, Windells has taken care to provide campers with a fun, safe environment in which to hang out and grow, after spending each day on the mountain. Now, anytime you want, you can join the excitement. Check out Fear Factor food challenges on the porch, pie toss in the courtyard or just look at every new feature as soon as it’s constructed, whether it’s additions to the concrete jungle, hand built jumps in the BMX course or any other new features around campus. This isn’t the web cam of old, with fuzzy pictures and slow motion movements. Each newly installed Canon Network Camera can zoom in and out with perfect clarity and can turn 360 degrees. The first camera is on top of the Heshin’ Delicatessen and can easily view the courtyard in the center of campus. The second camera is on top of the back office and can view the bmx jumps as well as many of the concrete jungle features. The third camera is on top of Dex’s Shop and can view the basketball court, concrete bowl, vert ramp, and many other features. 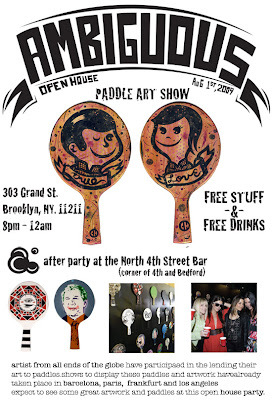 Go to http://www.windells.com/media/webcams/ to check it all out! When you log onto Windells’ web cam site, you will be placed in line and when it is your turn to control the webcam, you’ll have 30 seconds to zoom, tilt, pan and shift the direction of the camera to check out everything you’d like to see at Windells. Kickflips, high fives, skateboard snake course races, counselors getting pies thrown at their faces, smiles and laughter—all at your fingertips. Join in on the fun at the “Funnest Place on Earth” – now available right from your computer. I don't know about you but i think this video is dope. After watching the Maloof Cup TV on my New plasma tv that i got yesturday i searched on youtube for a video about the Cup and i found this you got to watch there tricks are dope and its sweet when they go slow motion. MALOOF CUP TV Show is on this Sunday at 11am west coast time on NBC fool! Girl Deck Carroll I don't know but i think its pretty dope. this site out to see both of them. you cant even see the picture its all wood from grinding. I also think this deck is dope. Please comment and tell me which deck do you like the most. If you missed out on today’s televised broadcast of the 2009 Maloof Money Cup, there’s a good chance that you also missed a look at Nike SB’s latest commercial with P-Rod and his new shoe with a cameo featuring Ice Cube. Check here and stay tuned for the web exclusive extended version to drop on July 31st. 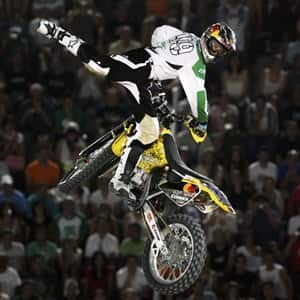 The X Games, the premier action sports event in the world, will be held July 30 through August 2, 2009 in Los Angeles, California, More than 200 of the best action sports athletes including motocross champion, James Stewart. It was announced today that Stewart has signed on with Team San Manuel and, in addition, will compete in ESPN’s X Games 15 in July and the Moto X World Championships in the spring. Stewart began racing at the age of four and has raced motorcycles his entire amateur and professional career dating back to 1993. In 2007, Stewart dominated the World Supercross GP and the AMA Supercross Series, successfully winning both championships. In 2008, Stewart was the AMA Motocross Champion with a “perfect season” – winning 24 of 24 races – only the second rider in the history of the sport to do so. This will be the first X Games appearance for Stewart. Also just a reminder that the 2009 Maloof Money Cup airs on NBC today at 11am PST/ 2pm EST. Grab a cold one and have a seat. Focus Skateboard Mag is celebrates their fourth year in publication by hooking up with Real Skateboards for an anniversary colab deck. DLX boss Jim Thiebaud says, “I’ve been reading Focus since its first issue. I’ve always been impressed by what they do and the not so simple fact that they continue to bang out a great skateboard magazine month after month - no matter how hard it is to do.” Head over to the dlxsf site for more details. You see i been post stuff about the latest skateboarding news well. This post is about the latest DC shoes I dont know i guess i just want to post something about fashion. 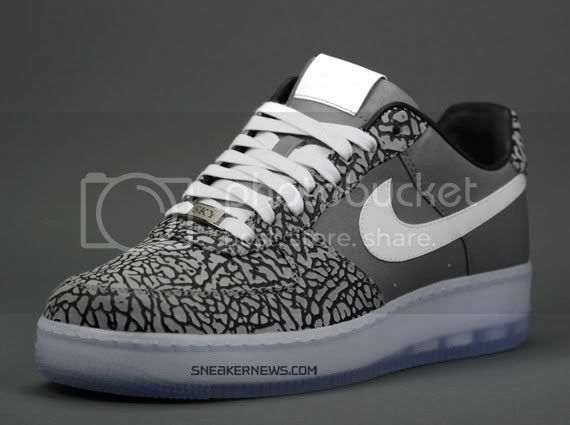 Here are two of my favroite DC shoes out right now. There is much more if you want to check them out go to this website. The ES Game of skate are moving cross country fast and will soon host a number of East Coast events. Beginning next week you can catch all the action from MASS to FLA.
online. Click Here to go to their website. From a G&S Fibreflex to a 10 inch wide pig all the way down to the bearing shields we called wheels in the early 90’s, Dave Swift has certainly seen more change than most as a skateboarder. 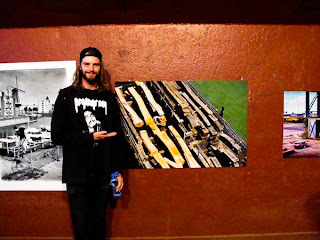 The guys over at Typical Culture recently caught up with Dave to ask him a few questions in an interview that covers his beginnings, his 15 year tenure at Transworld and of course, his tough work behind The Skateboard Mag. A very interesting read and the images alone are the worth the clicks. Plan B Skateboards released a video to showcase their team titled “Superfuture.” The 14-minute video features Pro skaters Ryan Sheckler, Paul Rodriguez, Pat Duffy, PJ Ladd, Jereme Rogers, Colin McKay, Ryan Gallant, Brian Wenning, Danny Way, and Scott Decenzo. 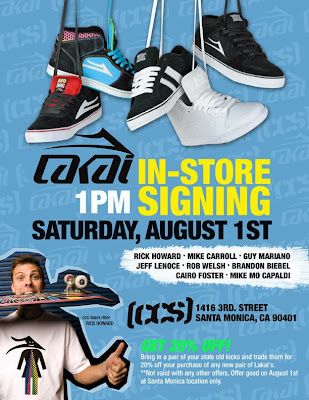 Are you looking to spend an afternoon or an entire day with Tony Hawk and perhaps a group of his friends any time soon? Well look check this out, The Tony Hawk Experience might be just the right set up for you and your crew. Each experience package is fully tax deductible and aims to significantly benefit the goals and generous programs with the Tony Hawk Foundation. The “Still Searching for Animal Chin” package would be their definitive choice. Hey you want to hear about the latest fashion and some other random cool stuff check out this blog. He post about the latest fashion out there. Over the years there’s been many, many bizarre names tossed around in the process of branding and establishing skateboard companies. Dogsled, Skillz, Knee Jerk, Sweet Leaf, Yellow and Toast are just a few of those names that come to mind. Hell, just open up a dictionary to a random page and land on a random word and you’ve got the moniker for your skateboard brand. Of course, this strategy has worked for some, and not so well for others. Well, for reasons best known to him, Tom Augusta, has launched his own unique brand of skateboards under the name Weirdo. And yes, the name he’s chosen for his small start up brand is a bit wild, but it’s fitting. At first thought, I connected the name to the fact that he’s a true free spirited sort of individual. After all, he used to rock a checkered board helmet at the skate park back in the days when new wave and punk rock filled the airwaves for the first time. And today he still rocks that Primus haircut. 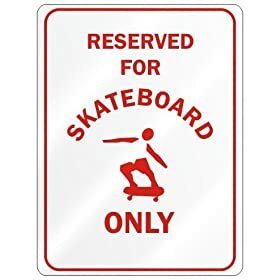 Just head over to San Jose’s Lake Cunningham skate park and look for the older guy ripping around those deep bowl sections with the bright fluorescent green helmet on and you’ve found him. In all honesty and reality, Tom has always been that guy that did things his way and didn’t follow convention, trends or what was cool at the time. He’s always done it his way with his weird approach to things. And as such, a majority of skateboarders are different from the status quo by default. Exclusive coverage and highlights from the Maloof Money Cup 2009 will air this Sunday, July 19th at 11am PST/2pm EST on NBC Sports. 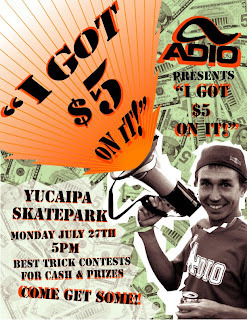 And to follow up, 2009’s Maloof Money Cup Bonus Vert one-hour show will first air on MTV2 on Wednesday, July 22nd at 6pm PST/9pm EST, and the Maloof Money Cup Bonus Street one-hour show will first air on MTV2 on Thursday, July 23nd at 6pm PST/9pm EST. It’s time to set those TV recording devices. In correlation with their latest ad, Venture Truck Co. has posted a brief interview with Rodrigo TX where he discusses the location of his sick switch front noseslide and a much more. Independent filmmaker Jeff Halstad’s skate video Scope This Too has been online this week and this week only through the Exit Real World site. Each day a new part with a different skater has been uploaded for your viewing pleasure and the action continues today with Elliot Murphy, one of the rising talents from the Pacific Northwest. Over the weekend be sure to have a good look at the wonder twins Erik and Kyle Billups as well. After a nine year hiatus, Powell’s newly released skate video FUN! is one that celebrates the creative gnariless of its youthful roster of skaters and rises to the occasion on many levels. Upon watching the video footage in its entirety of 36 minutes (not including the bonus section) I was blown away by how hard hitting the whole video was. In this day and age, after you watch a skate video a few times there’s bound to be a part you’ll skip or get sick of viewing. But with Powell’s video effort here, it’s akin to a really good classic rock album where you can play the whole enchilada from start to finish over and over again and you drawn inspiration from it and don’t get bored whatsoever. From the opening part featuring Josh Hawkins to the “over-the-top” ender with the brand’s newest professional Jordan Hoffart, the stable of Powell’s youngest riders is the focus of FUN! along with a few cameo tricks with Steve Caballero and other friends thrown in the edits as well. Dallas Rockvam, Derek Elmendorf, Aldrin Garcia, John White and Ben Hatchell definitely put together solid parts with good style and banging tricks all over the map. But perhaps most notably, Ben Hatchell blew the damn roof of this video with his well-rounded versatility and deep bag of heavy stunts. I don’t think there’s any terrain that this kid can’t step up to and properly destroy. All in all, this video is a must see for any skateboarder that lives and breaths for unique spots and progressive skating. 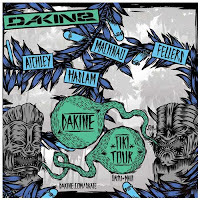 Dakine Delivers Its Tiki Tour Video Dakin has released its new Tiki Tour a skate video online. Shot in HD this tourtastic skate flick features Brent Atchley, Sierra Fellers, Chris Haslam, and Paul Machnau during a two-week tour of Oahu and Maui, Hawaii. Download the iPod version and take it on the road with you. This video is pretty awesome if your into skateboarding Because they do some sweet tricks. If you’re around the LA area this evening you should make a plan to drop by The Fast Life for the official release of SkateBook #5. The FMS skate team will be on the scene live and loud to celebrate their featured chapter in this special edition as well. This Saturday, July 18th, Red Bull and Orchard Skateshop will host Boston’s Manny Mania Am contest at City Hall Plaza (Government Center). 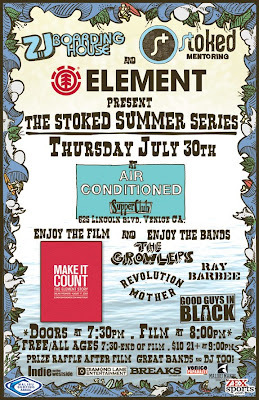 Looks to be a ton of things to do even if you’re not skating including a post contest BBQ and showings of the Black Label and Expedition One videos.